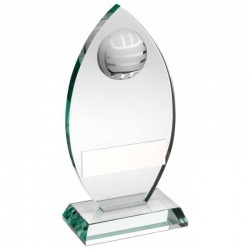 Modern glass award in arc shape with netball insert near the peak and engraving plate. Resin netball awards with 3D ball, on base with plaque. 7in tall. 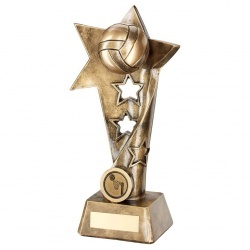 Resin trophy in bronze finish with star motifs and full 3D netball. 3 sizes. 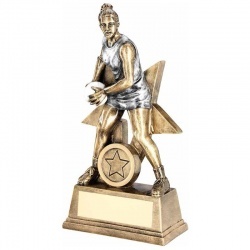 Detailed resin figure of netball player with star background on base with plaque. 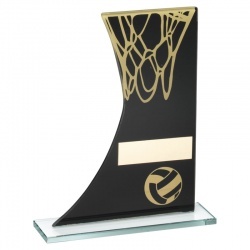 Resin trophy in bronze & gold with oval frame and netball motif, on base with plaque. 2 sizes. 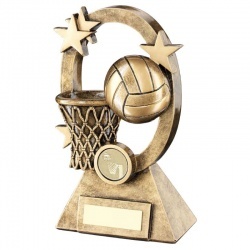 Resin trophy with netball scene on base with plaque, in bronze and gold colour. 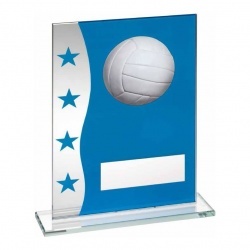 Rectangular glass plaque in blue and silver with stars motif and netball insert. Resin netball awards with 3D ball, on base with plaque. 5.5in tall. 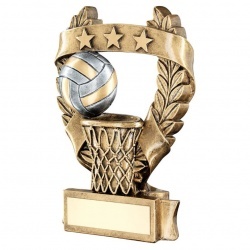 Resin netball scene trophies in bronze and gold finish. 5in tall. 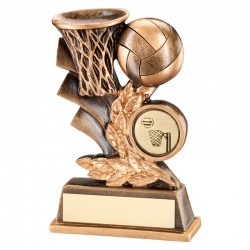 Detailed resin netball trophy with laurel garland enclosing netball ball & basket. 3 sizes. Modern design black glass plaque with gold trim. 8in tall. 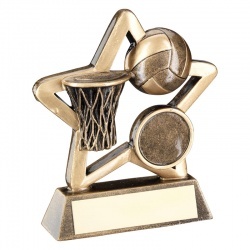 Resin netball scene trophies in bronze and gold finish. 4.25in tall. Modern design black glass plaque with gold trim. 7.25in tall. 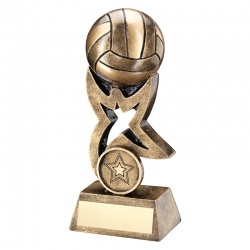 Resin Netball Award in Bronze & Gold with Base Plaque. 4.25in tall. Resin netball awards with 3D ball, on base with plaque. 4in tall. 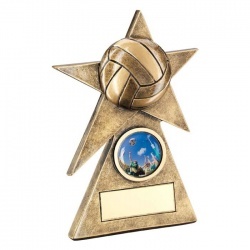 Resin netball trophy with star backdrop and netball ball, 1in centre & plaque. 3 sizes. Modern design black glass plaque with gold trim. 6.5in tall. 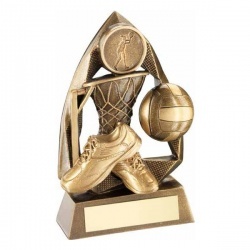 Resin Netball Award in Bronze & Gold with Base Plaque. 3.75in tall.